Ready cooked mussels from the frozen fish section near the deli. Tin of coconut milk, use lite if you are eating it more than once a week and if you like soup you can use two tins. 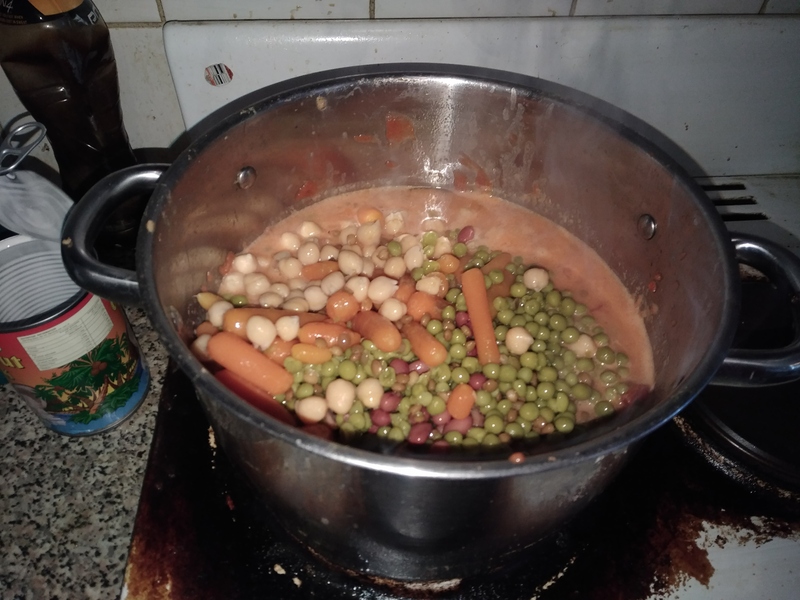 8 x tin of beans, carrots, peas, etc..
Now add the one or two tins of coconut milk you will find all these ingredients for most of this except the mussels normally in the same section of the supermarket! Now get all your 8 or so tins of beans and vegetables I think using industrial processed varieties of these in curry certainly lowers the preparation time not having to preboil the beans but just tastes nicer than fresh ingredients with a curry, so empty the 8 tins or so into a colander and then wash under water to remove all the processing liquids in he can on the vegetable products.